King of Saudi Arabia is a fascist. People of any political persuasion who seek to suppress, harass, intimidate etc. People of differing political persuasions, are also fascists. Fascism is not linked to right or left. George Orwell predicted that the next wave of fascism would be seen on the left.... pity some seem determined to prove him right. You are trying to dilute the term fascist so that it's harder to more accurately describe the positions, behaviors and other qualities of a particular group of people. By making it more difficult, you make it easier for fascists to roam free. Your argument is made in bad faith and everyone here knows it. Especially when the guy is posing in front of an outright fascist painting. This user is either a giant troll, or completely unable to admit they are wrong. 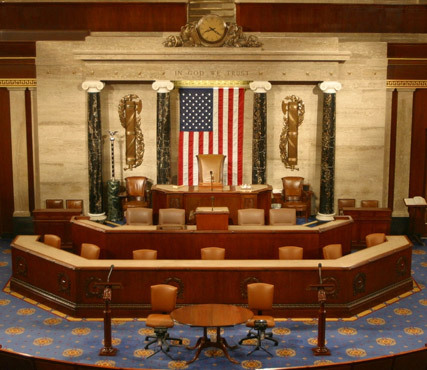 Those are literally fasces, celebrated, in prime position in the house of representitives. The US government IS a fascist government and has been for quite some time. Fascism is not a political direction, it is a method for promoting a political direction. It really worries me that this is not understood. The head of the UAF (unite against fascism) in the UK understands this, hes a nice chap, we used to go for pints together and talk about how to put the world to rights and fix broken films together. Fascism is dangerous, donn't for a second think that it somehow magically stop existing once you get to the centre ground. "a form of political behavior marked by obsessive preoccupation with community decline, humiliation, or victimhood and by compensatory cults of unity, energy, and purity, in which a mass-based party of committed nationalist militants, working in uneasy but effective collaboration with traditional elites, abandons democratic liberties and pursues with redemptive violence and without ethical or legal restraints goals of internal cleansing and external expansion". dictionary.com is trash paid for by advertisers.